BERRYCART: PURCHASE HEALTHY FOOD, GET PAID! Are you sick of paying higher prices for healthy food? Why is it that Organic, Gluten Free and NON-GMO products seem always to cost more? If you’re looking to save money on organic food you’re going to love this new app I discovered that pays you back when you buy healthy food! Similar to Ibotta and SavingStar, BerryCart is a FREE App that gives you money back for buying healthy foods and snacks! With BerryCart, you can find deals on the best organic, gluten-free, or non-GMO foods near you. All you have to do is download the FREE BerryCart app and start browsing exclusive BerryCart offers. HOW DOES THE BERRYCART APP WORK? After you download the BerryCart app, all you do is open it up and browse the products you want to purchase or have purchased. Below is an example of the types of cashback deals you may see. If you’ve already purchased an item, just go into that item and give it a quick rating and read a quick fact about that item to get the most money back. Then just hit the “redeem” button and it will bring you to a scanner where you will snap a picture of the receipt that includes that item. Once it gets processed, BerryCart will send you money in just 24 hours! There is no cashout minimum with this app so I am loving that! BerryCart will send you real money that can be cashed out through PayPal or can be cashed into various gift cards. So simple and no waiting weeks for your money. Want more money? Refer friends to the app and get $2 for each friend who downloads the app and creates a free account. That’s it! Simple and Easy! Start easrning money easily for purchases you are already making! Download the FREE BerryCart App here. You can also check out more money saving apps here. Questions? Comments? Leave them below! Do you want to know how to cut cable and still watch movies and your favorite TV shows? Are you confused by all the options for streaming TV and movies or have no clue where to begin? Do you kind of have an idea but just aren’t sure if you’re ready to cut the cord yet? 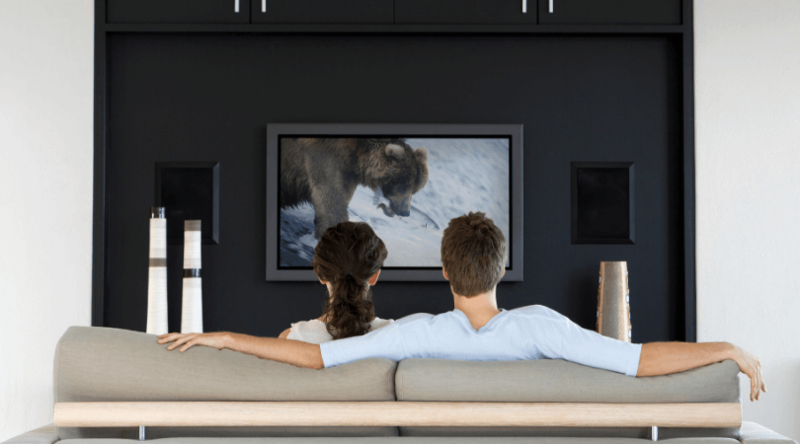 Getting rid of cable can save you a bunch of money and with so many options out there you really don’t need to be stuck in a cable contract. Getting rid of cable can save you a ton of money! Whether you watch a little or a lot of tv and movies, there are plenty of easy to setup cable replacement options for you. IMPORTANT: Before you ditch your cable make sure you’re not under contract. If you are, do the math and see if the fee for breaking contract is worth it to do it now or just wait until the contract ends. What you’re going to need to replace cable is all going to depend on what you want to watch, what type of TV you have now, and of course what you want to spend. I’m going to go over a lot of options so that you can put together a package that works for you. Whether you want to just watch local TV for free or whether you want to be able to stream Netflix or use a free streaming service there are options for you. If you want to save a ton of money and mainly only watch local broadcast television then you can get rid of cable and internet and just go with an inoor HD Antenna. There are a number of great antennas to choose from. I was able to grab one on Amazon for under $25. I suggest looking for a highly rated one with a long range because depending on how far from a broadcast tower you are will determine how many channels you get. This is the HD Antenna I grabbed and I have been happy with it so far. 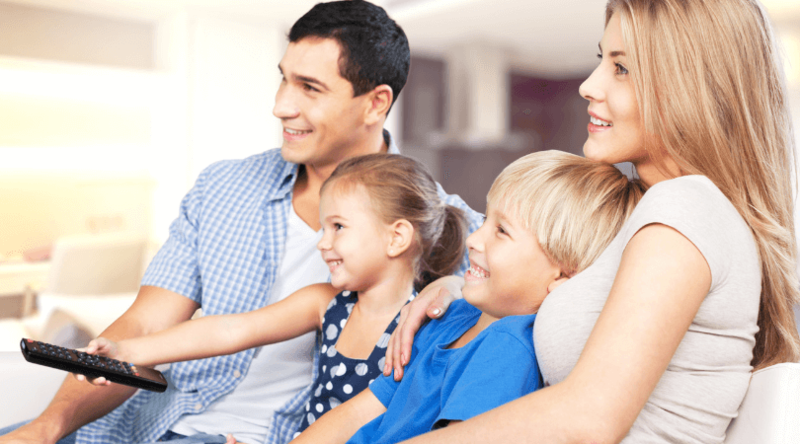 An indoor HD Antenna will let you watch all of your favorite network TV stations live, (such as NBC, CBS, FOX, ABC, PBS, THE CW, ION, etc) in high definition, with no cost beyond the antenna itself. Depending on your location, the HDTV antenna can get around 55 channels but again that all depends on where you live and where you hang the antenna in your home so try different spots when you first get it. I was able to install my Antenna in less than 5 minutes! Just plug it into your TV’s coaxial cable port, set your TV to antenna mode and scan for channels! My channels look great with the antenna but they do blur a little sometimes so you may need to move it around until you find the best spot with the best reception. If you want to be able to watch newer movies, more TV shows and just have more options than an Antenna will allow than I recommend keeping you’re internet service and adding a streaming service. There are plenty of great streaming services out there and a few free ones if you’re not too picky about what you watch. Keep in mind you will need internet service and a smart TV or a streaming player for this option to work. I’ll go over a few options below. If you have a Smart TV you should be able to stream most of the popular streaming services like Netflix, Amazon Prime, Hulu etc right from the Smart TV hub. Do you have a gaming console? You may be able to also use that if you don’t have a supported Smart TV. Gaming consoles like the Nintendo Switch, PlayStation 3 and 4 and even the Xbox 360 usually have the ability to connect to streaming services. If your TV does not support these services you can get a really inexpensive streaming device. What is a streaming device or streaming player? A streaming player is basically a device that will turn your TV into a smart TV and allow you to stream your favorite streaming services. I recommend if you’re going to grab a device to grab the 4K version to allow for future use and compatibility. Plus the 4K versions are usually within $10 or so of the regular version. If you’re on an extremely tight budget or just don’t watch that much TV you can probably get away with just using a free movie and TV streaming service. Free streaming services are limited and won’t have the newest movies and shows but they’re free so worth checking out or having in addition to a paid service or in addition to your HD Antenna. Sony Crackle is a free to use video entertainment network featuring full-length movies, TV shows, and original programming. It’s available on a wide variety of platforms including connected TVs, mobile devices, set top boxes, video game consoles and online at SonyCrackle.com. Enjoy news, sports, movies and viral video with Pluto TV. The Roku Channel is available even without a Roku device and doesn’t require a subscription (the subscription gives you other options with the Roku device but The Roku Channel is an app allowing you to watch movies and shows free even without a Roku device). Most of these free streaming services are available on your smart TV or streaming device. If you don’t see them as an option just go into the App section and search for the ones you want and download them for free. Here are a few options for paid movie and TV streaming services. Most have a free trial so I recommend trying them out to see which one fits best. Netflix offers a ton of unlimited movies, TV shows, and originals. Netflix is very popular because of its original content. Hulu is awesome and has a ton of TV shows that you are used to from cable. I grabbed Hulu in December and now I really have everything I need. PRICE: Plans start at $7.99 a month or $11.99 month (No ads). They also have a LIVE TV plan but we will go over that later in this article. GRAB A 30 DAY FREE TRIAL OF HULU! If you have Amazon Prime already then you already have Amazon Prime Video. Just log into your account and start searching for movies labeled “Prime” and you can watch those for free on your TV, computer, or favorite device. PRICE: $8.99 a month for just Video or $12.99 for the Full benefits of Amazon Prime. You can check out my article, Is Amazon Prime Worth it to see if you want to get Amazon Prime full and not just video. GRAB A 30 DAY FREE TRIAL OF PRIME! Are you a student? Right now you can try the Prime Student 6-month Trial. Do you have an EBT card or Medicaid card? You can qualify for a discounted rate of just $5.99 a month. Check out Try Prime Discounted Monthly Offering. If you’re reluctant to cut the cord and want to watch live TV (meaning you want to watch your favorite show when it’s actually on like you would regular cable) then you can go with a live TV streaming service. Philo offers a package of top-rated television channels. You can watch it live, save unlimited shows to watch later, or browse a huge library of content available on-demand. Philo is available on all your favorite devices and on the web, wherever you are. Grab a 7 Day Free Trial of Philo and check out the channel lineup. Sling TV is another affordable popular option. It’s very customizable as far as channels. You can go with a $25 plan and just add extras like DVR for as low as $5. DVR: You can add cloud DVR for just $5 a month. DIRECTV NOW has 65-125 Live Channels depending on the plan you choose. You can stream breaking news, sports, live events and thousands of on-demand titles. Fubo TV gives you over 100 channels including local sports and entertainment. Playstation Vue let’s you watch local channels, sports, news, and more with multi-channel plans. Despite it’s name you do not need a Playstation to use Playstation Vue. DVR: DVR all your shows at once and store unlimited episodes for 28 days – on up to 500 programs. YouTubeTV allows you to watch Live TV from 60+ networks. Local sports, news and more. Keep in mind FIRE TV does not support YouTube TV but there is a browser workaround that works just fine. I hope this guide helped you! Go ahead check out the different options, use the free trials! I will be updating this article as new options come out and prices change. The best part about streaming services is in most cases there is no contract so you can cancel them at any time. Wondering how to live frugally and save money? Frugal living isn’t about depriving yourself of all of life’s luxuries. It’s actually about freeing up money for the important things. By being frugal you’re able to pay off debt, save for retirement and do the things you enjoy without having to worry about whether you have enough money. For example, if you love traveling then living frugally throughout the year can allow you to free up money for travel. Want to buy a home? Living frugally can free up money to save towards your goal. Maybe you want to retire early? Living frugally can allow you to do so. By living a frugal life you start to value your hard earned money more. You’ll start to gain control over your money instead of your money controlling you. 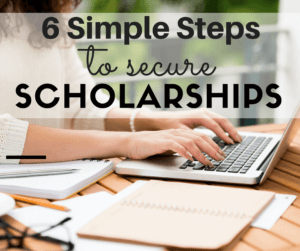 Following the frugal living tips in this article, you will not only gain more respect for the money you worked so hard to earn but you’ll find that you won’t really feel deprived after all. You’ll actually start to wonder why you didn’t live this way sooner! We talked a little bit about why you would want to and should want to live frugally but now let’s look at what the definition of frugality and frugal living says. “Frugality is the quality of being frugal, sparing, thrifty, prudent or economical in the consumption of consumable resources such as food, time or money, and avoiding waste, lavishness or extravagance. Basically, when you’re frugal you learn to stretch your money as far as it can go and you become super resourceful and less wasteful. You learn to use what you have and get bargains on the things you need. You learn to use free resources and services and only pay for what you have to. So are you ready to live a frugal life and start taking control over your money so you can accomplish your goals? Let’s get started with frugal living basics and expand from there. The first and most important step in frugal living is to start a budget. 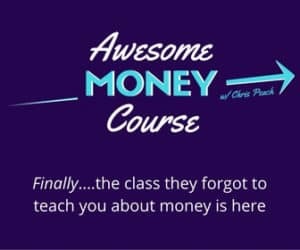 You need to know where your money is going, how much you need to make and where you can save more. Start by writing down all of your expenses and income. Use credit card statements, bank statements and receipts to help. To get the most accurate idea of your expenses and where your money is going, track you expenses daily on a notepad, in your phone or use a spending tracker app. If you need help with starting a budget, check out my article on creating an effective budget. You can also fill in your info below to signup for my newsletter to gain access to the Freebie Library where you can print out free budget printables to get you started. GET ACCESS TO MY FREEBIE LIBRARY FILLED WITH PRINTABLES! Once you’ve made a budget you’ll be able to see your financial picture as a whole. You should then start to see where you can make changes and reduce your bills. Reducing your monthly expenses and something you have control over and much easier than trying to earn more money. Do you have any subscription services you don’t need or forgot you even had but are paying monthly for? Cancel them! Can you lower the thermostat and put on a sweater? How about open some windows or use a fan instead of the AC? Get in the habit of unplugging things that don’t need to be plugged in all the time like a microwave or a charger. These items are drawing electricity even when not in use. Do you have cable? Honestly, all you really need is a digital antenna for local channels and an internet connection so you can stream movies and TV shows. By cutting the cord on cable you can save hundreds a year or more. Related: How to Get Rid of Cable and Still Watch What You Want! Frugal Tip: If you’re currently paying for movies, music, and shipping of products each month than Amazon Prime may actually be a frugal option for you. Check out my article Is Amazon Prime Really Worth It or grab a Free Trial of Amazon Prime here. Reusing what you have is key especially when starting out on your frugal living journey. Before this you may have just went out and bought things you thought you needed but now you need to think about what you already have and if you absolutely need what you are wanting to buy. For example, maybe you’re organizing your home and you buy a bunch of bins or maybe you’re decorating and you buy some new decor. After learning to live frugally, you start to look and see what you already have that you can reuse for a new purpose. For the bin example, do you have baskets lying around or old bins you were using but not really filling properly? Do you have boxes that you could reuse for storage of things that don’t need an airtight bin, what can you get rid of or donate to be able to store what you need without buying more storage containers? For the decorating example, what do you have around your home that you can reuse or restore into something new? Frugal Tip: If you’re just tired of the way your house looks and you feel like it needs a makeover, try giving it a deep clean and declutter. It’s amazing how different your space will look and feel after. Plus you’ll save a ton of money! Disposable products like paper towels, disposable mop pads, dryer sheets and more can get very costly if you use them often. If you’re currently spending money on these items you can free up that money to put towards debt and savings almost immediately. Replace paper towels with hand towels and rags. Use regular dishes and replace disposable mop pads with reusable ones or use a steam mop which will replace not only the pads but also the need for expensive cleaning products. I love this steam mop because it has a detachable handheld built in so it takes up less space and has two purposes. Check out 21 Eco-friendly Products That Save You Tons of Money for more ideas of things you can replace with more affordable reusable options. Meal planning saves tons of money. Groceries are actually a huge expense for most families. The easiest way to start meal planning is to simply write down your meals for the week. For your first meal plan look inside your refrigerator and pantry and see what you already have that you can make dinner out of. Buy some additional ingredients to complete the meals for the week and then work on next weeks meal plan. If you want someone to just do the meal planning for you or need help with planning meals, I recommend trying out $5 Meal Plans. For just $5 a month you’ll get meal plans emailed to you each week that also include a shopping list! Plus you can try $5 Meal Plans risk-free for 14 days to see if you like it. 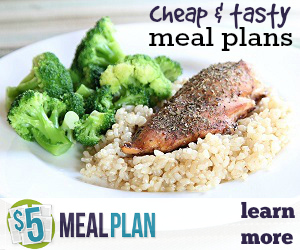 Check out $5 Meal Plans here. 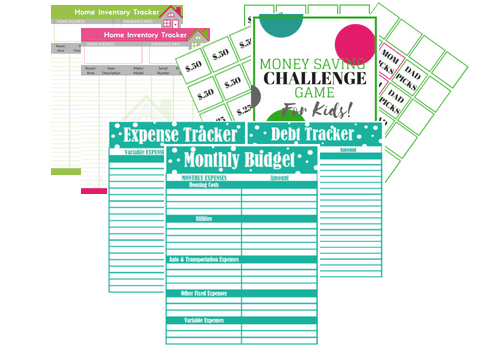 Monthly Budget Printables, Debt & Expense Trackers, Meal Planners, and much more! Why buy something you can borrow or rent for free for a fraction of the price? If you’re only going to use something once or twice or don’t have the space for it, then don’t buy it. Frugal people don’t buy things they don’t need to buy. For example, if you need a tool to cut tiles to redo your bathroom, rent it from your local hardware store. If you need a fancy dress for a wedding or party, consider borrowing one from a friend, shopping thrift or using a fashion rental service like Rent the Runway (get $30 off using my referral link here). I shared all kinds of tips on this in my article When to Borrow or Rent Versus Buy. Doing things yourself saves money in most cases. With all the free resources available online, you can learn almost anything. 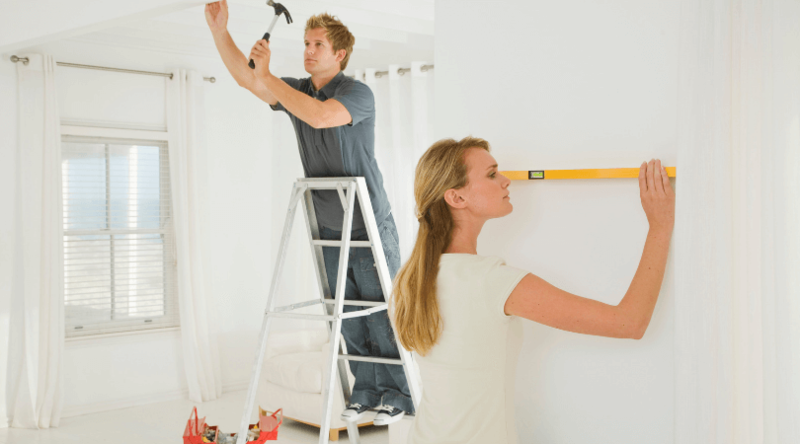 Doing simple DIY projects yourself can really help your budget. You can learn to sew, craft or even do some minor repairs on your home and car. Check out my article on Do it Yourself Car Maintenance for some tips. Some super simple things you can start with would be to dry clean your clothes at home or to make your own cleaning products. This should also apply to personal care like haircuts, coloring and manicures and pedicure’s. Spending some time to learn to do it yourself will save you hundreds! Shopping thrift stores, garage sales, and local swaps can save you a ton of money and they don’t have to be as time-consuming as they once were. Local garage sale groups are easy to find online and sites and apps like Facebook Marketplace, OfferUp and LetGo are making it super easy to find things without having to spend an entire Sunday walking garage sales and thrift stores. You can also check out sites like Freecycle.org to find a local group in your area. Freecycle is a place where your neighbors will list things they are giving away and you can post things you are looking for. Frugal Tip: Want to earn money on your gently used items? You can easily sell your things on some of the sites mentioned above (Facebook Marketplace, OfferUp, and LetGo). If you have a lot of clothing items than check out The Best Places to Sell Clothes Online. I love using coupons, coupons are basically free money. Clipping coupons you come across in the paper or even printing them online from coupons.com can save you hundreds a month on groceries and personal care. Just be sure to only use coupons for things you would buy anyway not just because there was a coupon for it. Want an even easier way to save? 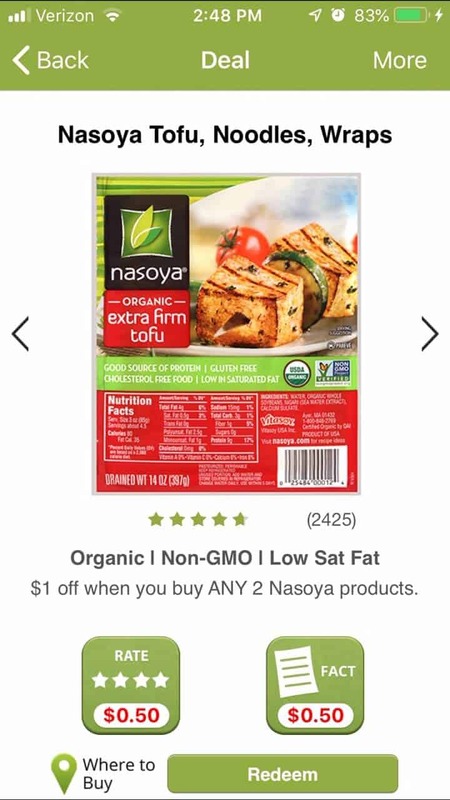 Use coupon apps like Ibotta which make it super easy to save without ever having to actually clip a coupon. If you’re shopping online you also want to make sure you’re going through a cashback site like Ebates first. Not only will you get cash back on your purchases but they also share coupon codes you can use. Ebates is totally free, Plus get a $10 bonus when you signup for using my referral link here. Reading about frugal living is just the beginning. Don’t just read this article and then move on to the next, you read all the way down to the bottom of this article for a reason! Pin it or bookmark it for reference and start with one thing at a time or go all in and challenge yourself! Let me know in the comments your thoughts and how you plan on living frugally. Want to dig deeper into how to live frugally and save money? Stick around and read my other money saving articles. Some popular ones include: 101 Ways to Save Money and How to Live on One Income. Have any questions or comments? Leave them below and I will try and answer them. Have you ever thought about how great it would be to make money from your phone? Most of us have our phone with us all the time so why not figure out a way to make money off of it? Well, I have found a few ways to earn money from your smartphone! There are many apps out there that allow you to make money with your phone. We pay a lot of money each month just to use our phone, why not make money off of it? You can even make enough money to cover your phone bill if you utilize your phone wisely. Instead of wasting time playing games that don’t pay you, try these apps that will make you money from your smartphone. Shopkick is a free app that rewards you simply for walking into stores (love this part) and for doing other activities like scanning certain products while you’re in the store. 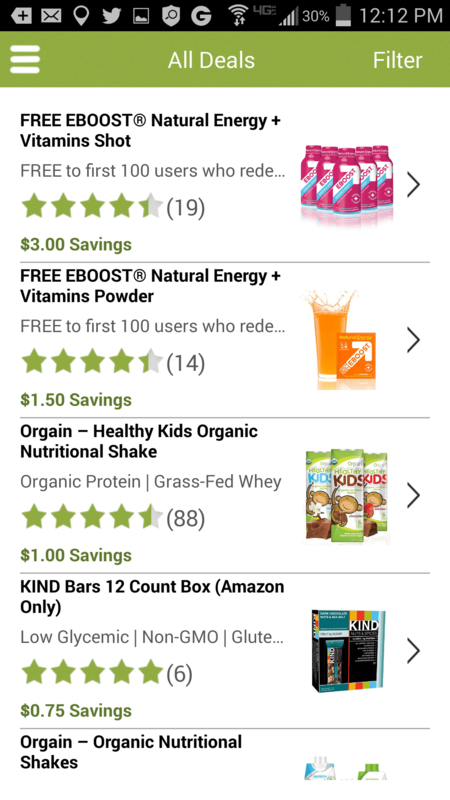 When you open the app it will tell you which products to look for and scan. You will get points for scanning each item. It’s actually kind of fun like a treasure hunt. It’s a great app to use while walking around the mall! You will see easily in the app which stores that pay you for “walk-in’s” and which have items to scan. When you get enough points you can exchange them for Amazon gift cards and more! Sign up for Shopkick and start earning today. Swagbucks will pay you for watching entertaining videos, searching the web, answering surveys, and more. 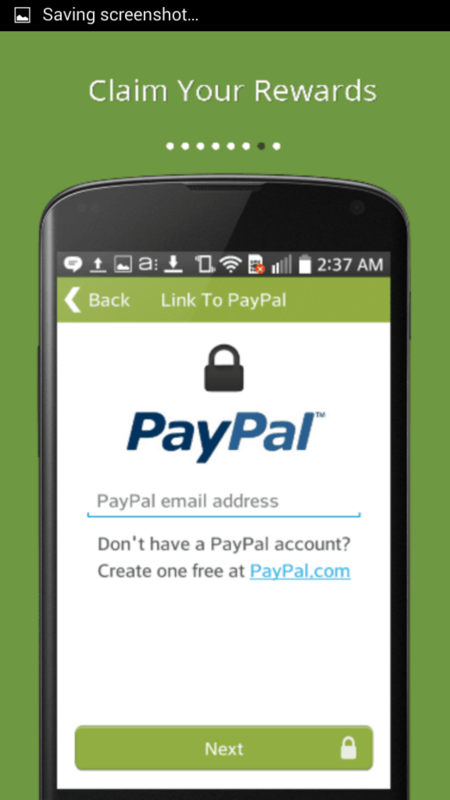 Redeem your points for free gift cards or get cash back from PayPal. You can also earn a 300 Swagbuck bonus by using my referral link! Once you signup you will get your own referral link so you can refer friends and get more points! 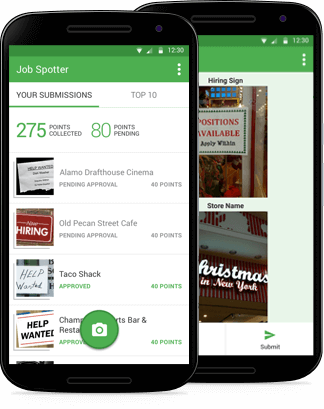 Job Spotter is an app that allows you to take and submit photos of help wanted signs and get rewards that you can turn into gift cards (which are basically free money). So when you’re out and about and you see a help wanted sign just get into the habit of snapping a pic. Fetch Rewards makes it easy to save on your everyday grocery purchases.N o store limitations, no having to clip special offers, no worrying about missing out on savings. All you need to do is snap a picture of your receipt and points will be put into your account. Fetch Rewards works for ANY grocery receipt. 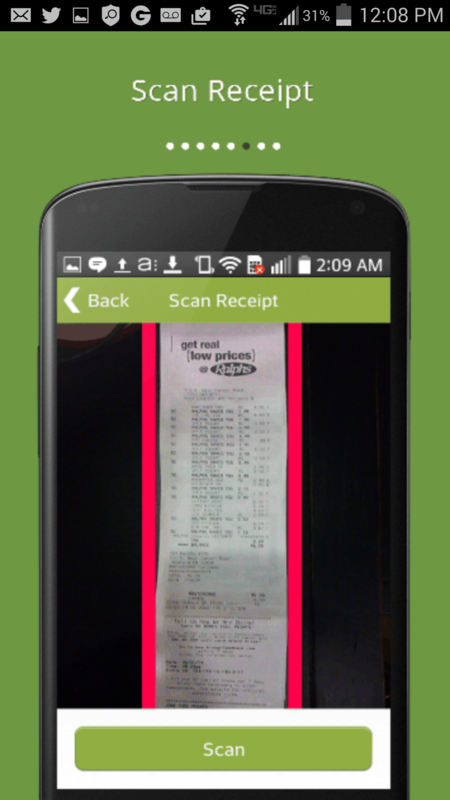 Just take a picture of your receipt each time you purchase groceries and you’ll earn points. Accumulate points and redeem them for free rewards to hundreds of popular retailers. Want 2000 points to start (you only need 3000 for your first gift card) then use my referral code: BM2BY when you sign up here. Check out my review of Fetch Rewards. I talk about Ibotta all the time but in case you haven’t heard of them, Ibotta is a free grocery savings app. You can get cashback on your purchases of certain products and brands. They have a ton of brands so it won’t be hard to earn quickly. They even have “any brand” rebates so you can earn with generics as well. Get a $10 bonus when you sign up using my link here. Ebates is one of the most popular cashback sites and they have an app to make getting cashback even easier! 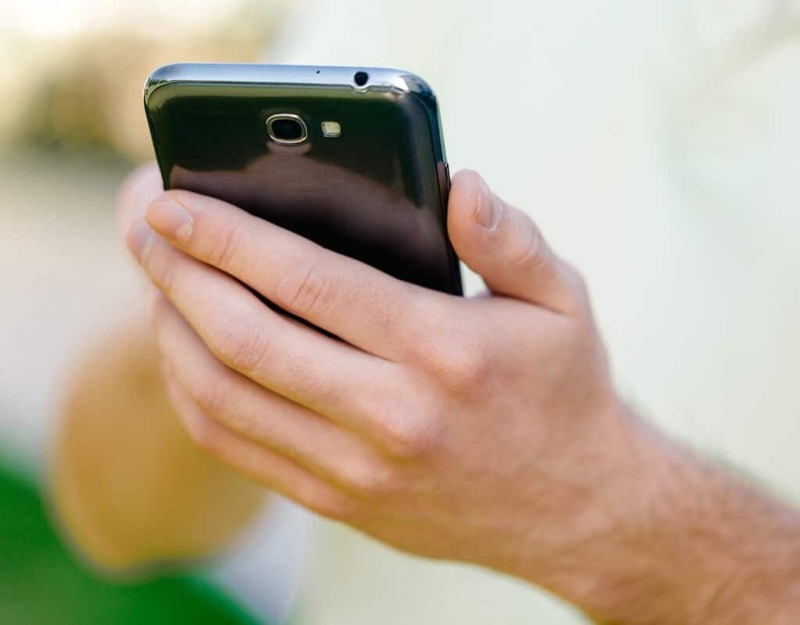 A lot of us already shop on our phones so why not get cash back while doing it? Sign up for Ebates here and get a signup bonus! Once you’re signed up, go ahead and download the app so you can make money when you shop from your phone! Topcashback is similar to Ebates. I would suggest signing up for both and having both apps on your phone so you can compare cashback amounts before you shop. Sign up for Topcashback here and then download the app. Poshmark (use code: BYXWR and get a $5 Credit! when you sign up) is by far my favorite app to sell your clothing, accessories, makeup etc. I’ve sold a bunch of items already (check out my Poshmark review). If you have clothes you’ve never worn or hardly ever wear, sell them right from your phone! I had clothes with the tags still on them and a whole bunch of clothes I only wore a few times and listed them up. You just take a picture and do everything right from your phone. Its super simple and Poshmark takes care of everything! You just print the label and drop your items in the mailbox. Check out all my tips for selling on Poshmark including how to get free boxes and how to package your items. This is another app where you can sell stuff but locally. Sell old furniture, cars, almost anything! Obviously, you want to use caution and always speak to and check out whoever your selling to before you meet them (and bring a friend) but it’s a great way to get rid of items you no longer need and to make money. I joined InboxDollars back in 2015 and use them on and off. Inboxdollars will pay you just for opening and reading their daily emails. They pay you for doing other things as well (taking surveys, watching videos and more) but the easiest is just reading emails as it takes only seconds. You can check out InboxDollars here. 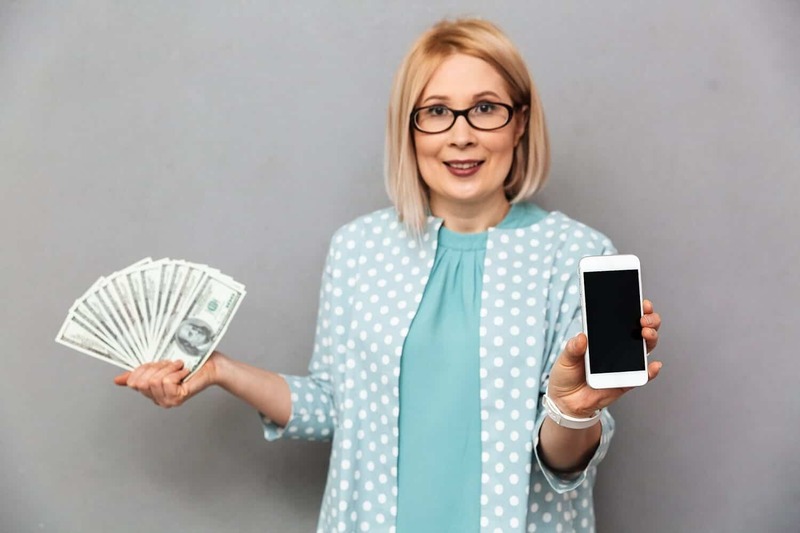 Do you have any favorite ways to earn money from your phone? Have you tried any of these? Let me know in the comments!